Hemet Nesingwary: He said he be huntin’ you. I’m not the prey, I’m the bait! Headhunter Jo: Welcome to me trap. 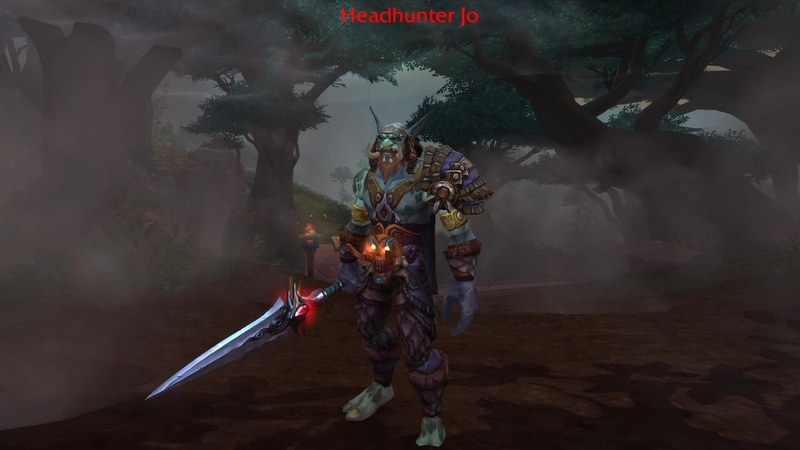 Headhunter Jo: Say ‘ello to Bwonsamdi for me. Headhunter Jo: Hold still. I need ta take dat head of yours cleanly. Hemet Nesingwary: Ya have my thanks, (class). I’ll be on the look out for ya in the future. 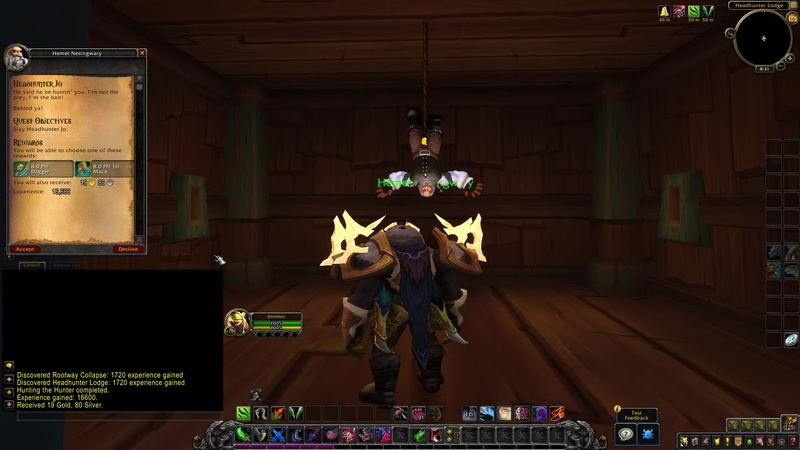 Hemet Nesingwary: Well, that was embarrassing. At least ya found me gun.